The longer people are overweight, the harder it is for them to shed the pounds, according to new study that attempts to answer one of the most frustrating mysteries of dieting: why the pounds inevitably pile back on even after a successful diet. 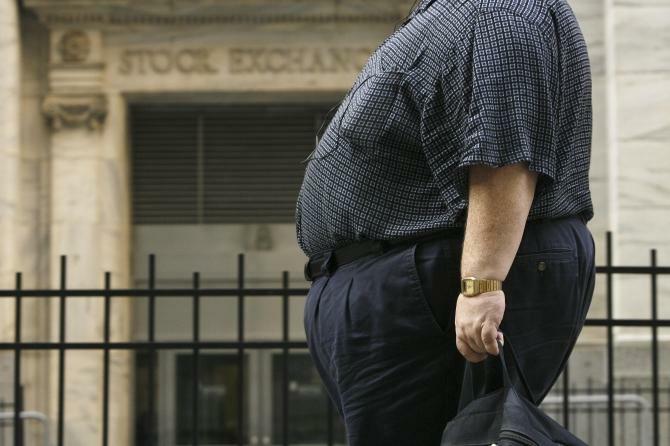 Scientists found that being overweight can reset a person's "normal" body weight to a forever higher level. Results from the study, published in the Journal of Clinical Investigation, showed that the longer mice remained overweight, the more "irreversible" obesity became. Researchers explain that overtime the unchanging obese state of overweight mice altered the animal's normal body weight set point to a permanently elevated level, making it difficult for the mice to keep weight off, despite enduring a previously successful diet regime. "Our model demonstrates that obesity is in part a self-perpetuating disorder and the results further emphasize the importance of early intervention in childhood to try to prevent the condition whose effects can last a lifetime," study author Dr. Malcolm J. Low, professor of molecular and integrative physiology and internal medicine, said in a statement. "Our new animal model will be useful in pinpointing the reasons why most adults find it exceedingly difficult to maintain meaningful weight loss from dieting and exercise alone," Low added. The research team used a new model of obesity-programmed mice that allowed scientists to track weight loss success at different stages and ages by manipulating a genetic switch that controls hunger. Researchers say that turning on the switch right after weaning prevented the mice from overeating and becoming on obese. Similarly, researchers said that mice that maintained a healthy weight by eating a healthy diet were able to maintain normal weight without dieting after flipping on the switch. However, mice that were chronically overfed were never able to return to their normal weight after turning on the switch, despite significant reduction in their food intake and increase in their activity. Researchers said that based on the latest finding, it is unclear whether severe calorie restriction and intense exercise regimes will help people achieve long-term weight loss later in life. "Somewhere along the way, if obesity is allowed to continue, the body appears to flip a switch that re-programs to a heavier set weight," Low said. "The exact mechanisms that cause this shift are still unknown and require much further study that will help us better understand why the regaining of weight seems almost unavoidable," he concluded. Could Exhaust Fumes Be Contributing to the Global Obesity Epidemic?